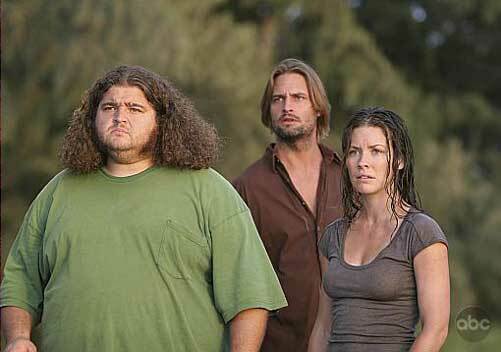 I was on the set of the series finale of Lost. We were on the island, sets assembled, but the film crew was missing. The show continued as if it was reality. Standing next to Sun, I saw Jin running toward us in the near distance. “Eeeeeeeeeeeek!” I screamed in excitement as I began to cry. Jin and Sun finally reunited after three seasons of searching for each other! After a passionate embrace, with me watching intently as if on TV, Jin wandered off to talk to Hurley, Kate, and Sawyer. At first, I could only observe. Physically, I was there, but I seemed to be invisible. No one could hear me. Now I could interact with the other cast members. I’ve seen every episode of the show and I knew them all so well. They were my friends. “I’m so happy! I’ve waited so long for this!” I said to Sun, still crying. I felt so emotionally attached to the entire cast, especially Sun and Jin. For months, I had been thinking how I just wanted them to find each other, and now they have. It was as if their fictionally lives really shaped my life.